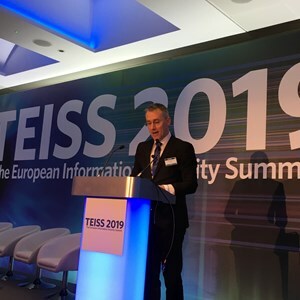 Speaking at The European Information Security Summit 2019 in London, Ciaran Martin, CEO, National Cyber Security Centre, reflected on the NCSC’s vision for a more secure Britain. For what that means for business leaders, Martin explained that there is a need for boards to become more tech-savvy. Traditionally, “Most businesses leaders don’t spend their time thinking about cybersecurity,” he added. “We’ve [recently] made it our business to understand what businesses think about cybersecurity. Martin said that “we are getting there in terms of awareness,” but the bigger problem is a lack of understanding of and fear about cybersecurity. To tackle the issue, the NCSC is this month launching a new board tool kit to support business leaders with a series of practical steps they can take to protect their company from the most common cyber-threats.